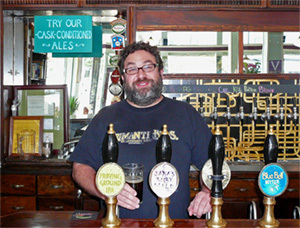 I was thrilled to discover that Dave McLean from San Francisco’s Magnolia Pub & Brewery not only had a mild, but had one on cask available at the pub. He put it on Monday so I was hoping it would still be there when I arrived Thursday afternoon. 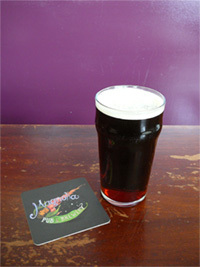 Happily, when I arrived I found both McLean and his mild, Sara’s Ruby Mild, at the hand pumps. The inspiration for Magnolia’s mild came from a trip Dave took to England several years ago. He found himself at the Beacon Hotel in the West Midlands town of Dudley. The hotel also included a brewery, at least since 1880, but it was closed in 1950 by the then-owner, Sarah Hughes. Her grandson re-started the brewery in 1988, naming it in his grandmother’s honor. 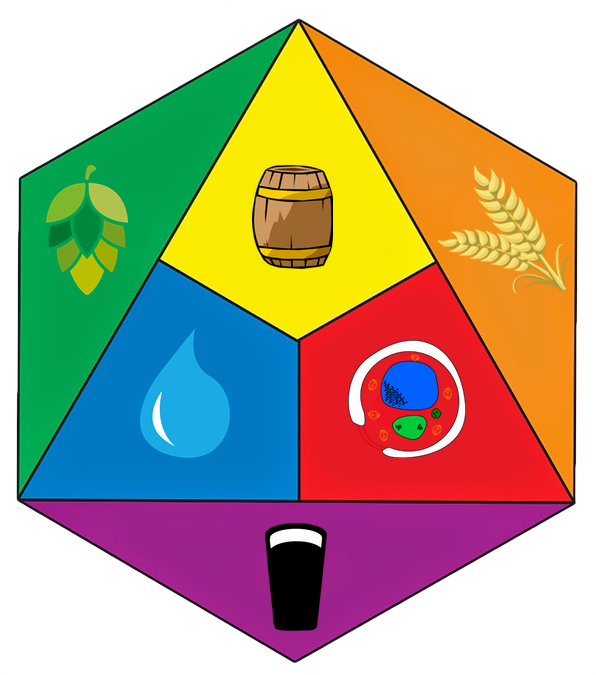 Today the Sarah Hughes brewery has three regular ales, Pale Amber, Dark Ruby Mild and Sedgley’s Surprise Bitter, along with some rotating seasonals. I ordered my first pint of mild and found a seat in a booth and settled in for some lunch. I was hungry and so it all looked good, but I tried to choose a dish that would pair nicely with my mild. I hadn’t actually been to Magnolia to eat since chef Eddie Blyden returned from Philadelphia and revamped the menu last year and the choices looked just terrific. Sara’s Ruby Mild on cask was a delight from the first. It was a deep mahogany color with streaks of ruby red that shone in the afternoon light. The nose was light and subtle, with sweet, bready malt aromas. On cask, it was smooth and easy-drinking. Thick Brussels lace stuck to the sides. There was just a touch of butterscotch up front but it was mostly malt character throughout, dry and biscuity, and never overly sweet. You knew the hops were there because it seemed so balanced, but they never asserted themselves or got in the way, simply staying in their place, out of the way. Overall a very well-conditioned beer with a nice, clean dry finish. Magnolia used primarily Maris Otter malt — around 65% — and three more crystal malts and some black malt, along with Fuggles and Golding hops. The yeast used was their regular ale yeast, a flocculent London variety. Original gravity was around 1038 or so, and yielded around 3.7% ABV, a true session beer. 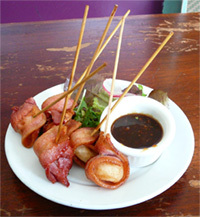 I started with an appetizer of bacon wrapped roasted chestnuts that were superb and were washed down nicely by the mild. 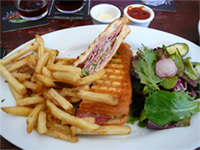 Then a slightly spicy Cuban sandwich of garlic pork and ham with swiss cheese on grilled panini bread. Here the mild paired really well, neutralizing the spiciness with each sip, cleansing my palate and readying me for the next bite. Before I knew it, I’d finished off my second pint. 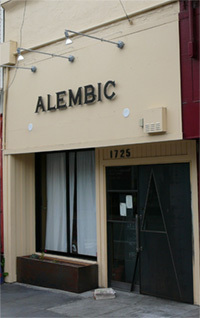 For curiosity’s sake, I walked the few blocks down Haight Street to Dave McLean’s new bar, the Alembic, where he’d mentioned that he had the mild there in its non-cask form. It’s a shame I didn’t try it before the cask, but the Alembic didn’t open until four so there was no way around it. Good as the mild was at the Alembic, it suffered by comparison to the cask-conditioned version. Even in appearance it was slightly more orange and not as ruby, but with a thick, pillowy ivory head. It was gassier, naturally, and not as smooth, which made the hops more pronounced, especially in the finish. If you want some history and background on the style Mild, please take a look at my overview of milds, which I posted a few days ago. 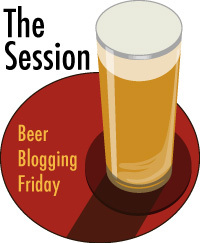 Our first “Session” post was by Al at Hop Talk, who blogged about his fruitless search to find a mild in his area. Next, Kevin at KevBrews in Ohio managed to find just one example in his local store stocked with 800 beers, highlighting just how underrepresented this style is in America. The beer they did have was Three Floyds Pride & Joy Mild, a beer the brewery describes as a “hoppy interpretation of the style,” which as Kevin notes makes it “too bright, too hoppy, too citrus to be a true mild.” He concludes that he’ll stick with Bell’s Best Brown for a session beer. Over in Sweden, Knut at the eponymous Knut Albert’s Beer Blog, writes about Pumpviken påskøl, which is the Easter seasonal from the Nynäshamn Steam Brewery located in a small town south of Stockholm. At 5.8% he finds that it is still close to the English style, describing it as “less bitter than a bitter, and more flavourful than a (standard) brown ale.” Of course, a century or more ago, the original milds were much stronger than today so perhaps Knut has stumbled upon one made in the original way? At A Good Beer Blog, Alan puts on his armor and goes on an “Unlikely Quest For A Mild,” settling finally on “Vanilla Bean Brown Beer” by Landmark Beer Co., a contract brewer in New York. Ultimately a little disappointed, Alan finds it “a bit overwhelmed by a syrupy and bitter dark chocolate vanilla statement that leaves little left to the malt.” He has one more prospect to open tomorrow, but for now he eloquently concludes. The lesson is this – you are never going to see a flavoured mild or an extreme mild. Mild is only itself. No muss, no fuss. No fanfare, no breakthrough in technology. Just a newly matured light, clean, flavourful and, yes, watery beer. It’s a confident statement of the light hand that it takes to make it. Donovan at Catch & Release went all out, setting sail for the other side of the pond and a visit to the Market Porter (a great London Pub I went to in January) for a podcast show tasting a Gunpowder Strong Mild from Coach House Brewing. 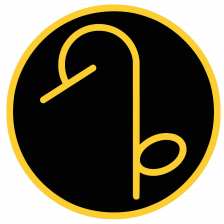 You can download the podcast at the Internet Archive. Captain Hops at the Beer Haiku Daily was also unable to find a mild for today’s Session, though he did write a haiku about his search, and posted the two haikus I wrote about milds. 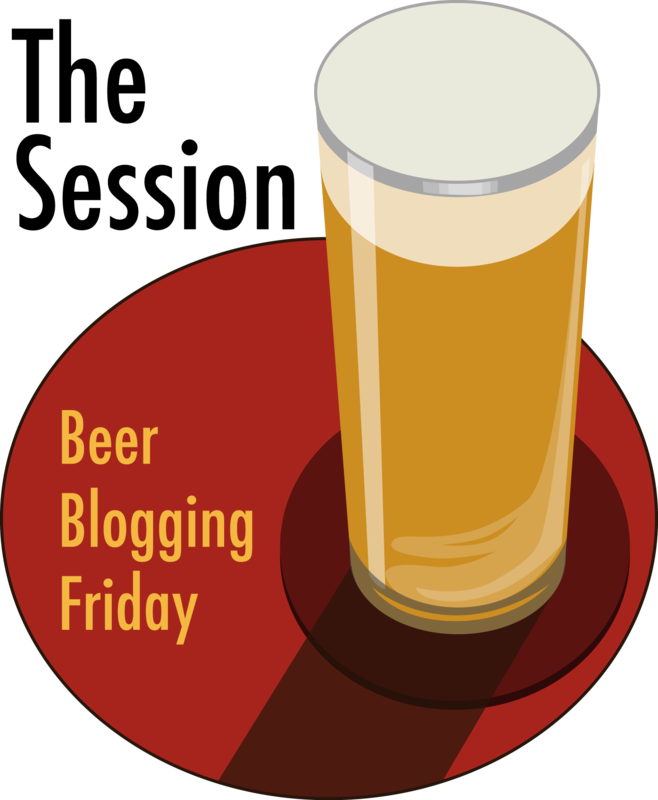 In his e-mail to me, he writes that nothing “could call attention to the plight of the mild like the fact that half the beer bloggers out there had trouble finding one. Now I feel like I am on a mission! 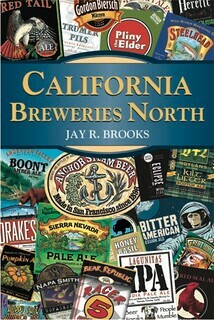 It seems that several of the local breweries have made them at one time, but no longer have them on their rosters. Perhaps a little encouragement ….” Still searching for “that elusive mild,” Captain Hops nonetheless has been enjoying Wild Goose Nut Brown Ale lately, which though not strictly a mild is similar in style and certainly a milder, less extreme beer. Jon from The Brew Site in the Pacific Northwest likewise had some difficulty finding a true mild but in the spirit of the day tasted Old Speckled Hen. While an English Pale Ale, it was considerably milder than most of what he found available in his area. Although earlier this week he did review BridgePort’s new Beertown Brown, another local contender for kinda, sorta mildish. Not all ‘light’ beers are light in color, or flavorless; not all ‘dark’ beers are overpowering in flavor or alcohol. Mild ales from England’s Midlands region are a little known example. A so-called ‘cloth cap beer,’ these drinkable session ales sustained farmers through the harvest season. Dark, mellow, flavorful and surprisingly complex at 3.2% alcohol by volume, this is the perfect ale to debunk popular beer myths. Then we skip back to the west coast again to Dave’s blog about the L.A. beer scene, “Hair of the Dog Dave.” Dave also had some difficulty finding a mild, likening his search to trying to find an “honest mechanic.” He eventually stumbled onto Riggwelter from Black Sheep Brewery, located in Masham, England, which is aparently the gateway to Wensleydale (sorry I’m laughing right now, as should everyone who really knows Monthy Python’s Cheese Sketch). Dave followed up to remind me that in fact it’s Black Sheep Brewery that also makes the hilarious Monty Python’s Holy Grail Ale, a novelty beer created for the comedy troupe’s 30th anniversary. Then over to Andrew Ager at another eponomously named blog, Andrew Ager dot com, in New England where he posits that Three Floyd’s Pride & Joy Mild, which KevBrews also wrote about, is in fact an extreme mild, thus in effect refuting Alan from A Good Beer Blog‘s assertion that we are “never going to see a flavoured mild or an extreme mild.” Andrew goes on to talk about the “rare and lusty Sarah Hughes Dark Ruby Mild,” which is the beer that inspired Dave McLean at Magnolia to create his own “Sara’s Ruby Mild” which in turn was the beer I wrote about. Ah, what comes around goes around, especially if you swirl it. Our journey next takes us again north of the border to Canada for Stephen Beaumont’s A Mild Session at his blog on That’s the Spirit, where I initially am docked a few points for my choice of mild both on the basis of scarcity and season. Of course, Stephen managed to find two and can I really be faulted for the weather in Toronto? It’s not like I had anything to do with global warming. Did I leave the oven on? When I had my beer yesterday in San Francisco is was cool, slightly gray and a little windy — ideal weather for my mild. Next we head back south, not quite all the way to the border, to New Mexico for some more history at Stan Hieronymus’ Appellation Beer. Stan decided to break his own promise and made his own mild, though he strayed quite a bit from the style parameters, including using no hops in favor of a mild gruit. I’m not sure he’s entirely happy with the results, but I’ll let his own words describe his beer. I used a little more lightly smoked malt than [Randy Mosher] suggested — and, by golly, Wheeler and Protz talk about smoked malt in early Milds — and the mix of spices was different since I walked around my yard and collected stuff I knew wouldn’t kill you. Even though I cut back on the cardamom it still dominates right now, and might forever. It adds an unfortunate astringent note, not totally unlike a badly hopped beer. Alan had one more go at A Good Beer Blog, sampling a Nut Brown Ale from Black Oak Brewing from Canada, but it, too, came up short. Close, but no cigar. Rick over at Lyke 2 Drink also came up snake eyes in his search for a mild, but Rick regales us with a little more mild history before detailing his Herculean effort to track down a beer to write about. Late in the evening, just after midnight, Lew Bryson explained his conspicuous absence somewhat cryptically, but then rallied the next day while attending the Southern California Homebrewing Festival, where he found four on cask, three of which he sampled. Lew also philosophized how and where milds fit into his session beer project and theorized as to why they’re not more popular here on this side of the pond. That looks like it’s all for this “Session.” Thanks to everyone who particiated, even those who were frustrated in their attempts to actually find a mild. Although I felt like a few people gave me a hard time over my choice, the point really was to raise awareness about this somewhat rare and unknown style and I think we succeeded not only with the milds that were found and written about, but also with the fact that they are so hard to find, a fact very well illustrated by many of our intrepid bloggers. But if we play it safe and pick, say “pilsners” (sorry Al, didn’t mean to throw you under the bus) then we have some fun and enjoy ourselves but we don’t really accomplish much of anything. 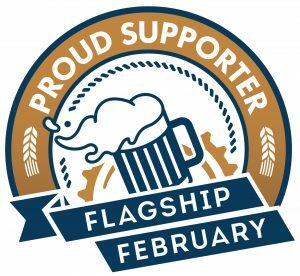 And if nothing else, we should at least use this forum to educate and illuminate what makes beer so special that we take the time to study it, drink it and write about it. Funny you should mention Monty Python. Black Sheep is the same brewery that makes the gimmicky Holy Grail Ale (tempered with burning witches). There you go – another failed effort to find a mild. Next month, can someone pick, say, maybe pilsner? “Fault” is not a word I would associate with as glorious a day as it was yesterday — and I hear will be again today — in Toronto, Jay. My comment on the weather was simply an observation via-a-vis the beer’s suitability to its circumstances, hardly an assigning of blame. On the scarcity issue, though, I think I’d get support from at least Rick, Alan, Jon and Dave. Who is up next, BTW? HEY! I’m working on it. Sorry, I’m far from home and at the mercy of (benevolent) strangers: I’m speaking at the Southern California Homebrewers Festival in Temecula today, and yesterday just didn’t offer any mild (although I did get some of Ballast Point’s Even Keel Session Ale, which kind of reminded me of the 3 Floyds Pride & Joy: 4.2% and hoppy as bejeezus). But the Maltose Falcons will have FOUR milds available today…so I’ll have something for you late tonight or early tomorrow. Cheers, folks! Even the world-famous Brickskeller in Washington, DC, which has over 1000 different beers on their beer list, only seems to have one Mild available. Whew…long day, long night, but I’m finally done, and I did get mild. Well, let’s see. I’m on a mission to find a Mild and have had a new liquor store recommended to me which I’ll be trying out; I went on a tear and bought four different British imports to try; and have more-or-less decided that my next batch of homebrew will be a Mild. I think you were successful. Oh, Brooks, you’ve done it now. I liked you, man, and then you had to go and get nasty. I challenge you to go to a good beer store and find more craft-brewed pilsners than IPAs or pale ales. A pilsner Session WOULD accomplish a WORLD of good, goshdangit! You getting paid by the word on these blog entries, Jay? KIDDING. Jay, didn’t mean to give you a hard time, and believe me, I wouldn’t blame anyone for the current spate of glorious springtime weather we’re experiencing up here. My purpose was just to throw a good lede in front of my words about the Harvest Moon mild. I do have to side with Lew in the latest throw-down, though. He and I are both lucky enough to have good pilsners in our backyards — come to think of it, Lew’s got two, no, three! — but a lot of people are not. Given the general anti-pilsner bias of much of the craft beer world, I do think it would be laudable to feature that style some Session. Sheesh, what is it with you people and pilsners? I love pilsners. Really I do. I only used them in my analogy because Al mentioned them in one of his personal asides. Believe it or not, gentlemen, there are far more pilsners than milds here in the gosh darn U.S. of A. and I don’t believe for a second that anyone would have anywhere near the trouble finding one that they did milds. So the analogy still works. If it makes you feel better, insert “pale ale” where it says “pilsners” and see if that makes more sense for you. So I’ll expect that one of you will be choosing pilsners when you sidle up to the bar for your hosting duties, no? Oh Noooo! Not the buuuuusssss!!!! Super late, but wanted to make sure that I contributed to the posting. I chose Aldergrove’s Brown Eyed Girl Mild and Anchor’s Small Beer.